In 1947, the Bulletin of the Atomic Scientists published, on its cover, a “Doomsday Clock.” The clock was designed to represent the existential threat to humanity posed by nuclear weapons. 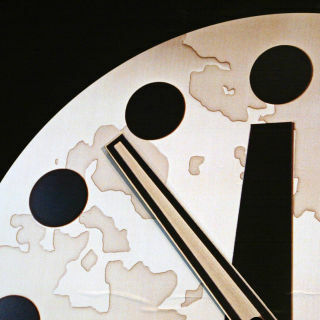 That year, it was set at 11:53, or “seven minutes to midnight.” In 1953, following American and Soviet tests of the hydrogen bomb, the clock reached 11:58, or two minutes to midnight (the closest to doomsday it’s ever been). At the end of the Cold War, in 1991, it was turned back to 11:43, or seventeen minutes to midnight (its furthest from doomsday). In total, in the past sixty-nine years, the clock has been changed twenty-two times, giving the world an easy way to gauge the likelihood that our species will destroy itself. This year, we’ve decided not to move the clock either forward or backward. It will remain set at 11:57–three minutes to midnight. The fact that the clock’s hands aren’t moving isn’t good news. It’s an expression of grave concern about how the global situation remains largely the same. The last time the clock was this close to midnight was in 1983–the height of the Cold War. Since we moved the clock forward, a year ago–in 2012, it was set at 11:55– developments have been mixed. There has been some positive news, such as the Iran nuclear agreement and the Paris climate accord. At the same time, nuclear tensions between the U.S. and Russia have grown; the situation in North Korea has become more acute, with the country claiming to have tested a hydrogen bomb; tensions between Pakistan and India remain high (those countries are increasing their nuclear arsenals); and weapons-modernization programs in the U.S. and Russia continue to violate the spirit–and, I believe, the letter–of the Nuclear Non-Proliferation Treaty. The Paris agreement notwithstanding, the fight against climate change has barely begun, and it is unclear whether the nations of the world are ready to make the hard choices necessary to stabilize the climate and avert possible environmental disasters. In short, the major challenges the Bulletin laid out for governments a year ago have not been addressed, even as, over all, the global threats we face have become more urgent. To understand the clock’s current position, it helps to look at recent history. In 2010, the clock was moved back, in part because President Barack Obama had pledged to try to move toward a world without nuclear weapons. His Administration did move forward on several diplomatic fronts, in regards to both arms-control treaties and negotiations with Iran. Since then, however, the U.S. has committed to a nuclear-weapons-modernization program–a program that aims, in part, to update the production, storage, and mechanisms of America’s warheads–that could cost between a hundred billion and a trillion dollars. What message does this send to non-nuclear nations about our intentions? The U.S. military has also begun exploring the use of smaller, “useable” nuclear-tipped missiles capable of attacking underground bunkers. There is, however, no sane strategic use of nuclear weapons; we need to reduce our nuclear arsenal, not create a new generation of armaments. To help the clock move back, the Bulletin calls on the citizens of the world to make demands on their leaders. Leaders must dramatically reduce proposed spending on nuclear-weapons-modernization programs. They must reÃ«nergize the disarmament process, with a focus on results. They must engage with North Korea to reduce nuclear risks. They must begin to deal with the problem of commercial nuclear waste, in particular by agreeing on workable international storage sites. On climate change, they must follow up on the Paris accord with actions that sharply reduce greenhouse-gas emissions and fulfill the Paris promise of keeping warming at less than two degrees Celsius. And, more generally, they must create institutions specifically designed to explore and address potentially catastrophic misuse of new technologies. Unless we change the way we think, humanity remains in serious danger. We should not be cowed into inaction by the daunting nature of the challenges we face. Instead, we have to face them head on. 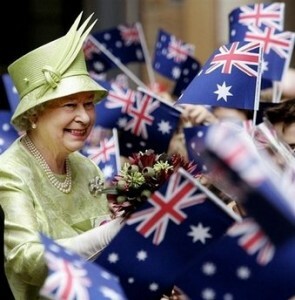 Today, 26th January, is Australia Day. 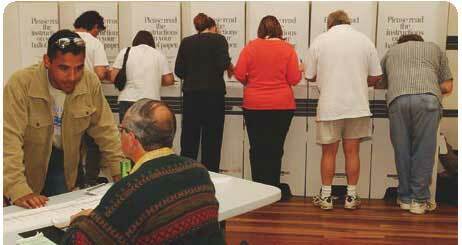 Australia is whatever the Majority of Electors says it is! ‘Monarchy to Republic’ – Whether or not to change the Australian Constitution from monarchy to republic is currently being thought through and discussed by Australian Electors. 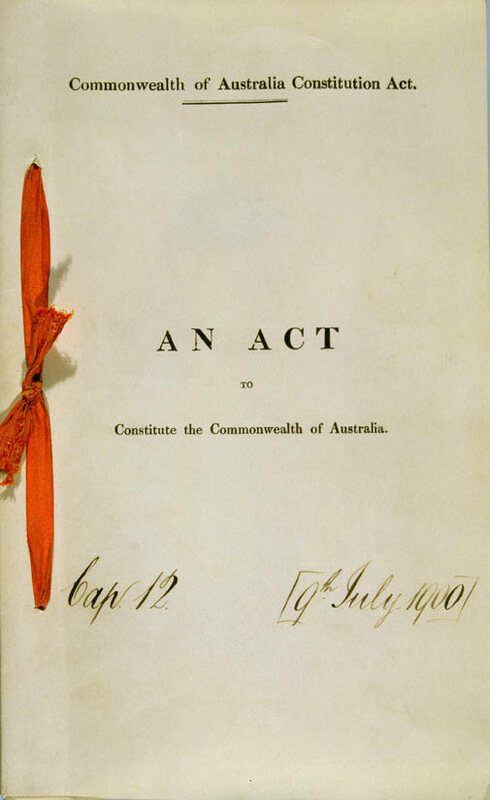 The Majority of Electors was the original power in 1900 that created The Constitution and is still the only power in Australia that can change The Constitution. It was crafted in Australia by our own people. It was a product, not of war nor of revolution, but of many years of business discussion, political debate, legal argument and peaceful referenda. The Convention President was the Premier of New South Wales, Sir Henry Parkes, whose image can be found on Australian five dollar bills. The draft of a Bill for a Constitution was approved by the Convention. Western Australia voted to join in 1900. Thus, the Constitution was designed, not at Westminster at all, but in Australia and by our own electors. This is a basic question I keep asking my CEO clients and I have done so for several decades. What keeps you awake at night? 5. global expansion and growth. On January 24 1984 Apple Computer introduced the Macintosh. My friend, Peter Bensinger Jr, and I both went out and got one each on the day Macs were released in New York City. I’ve been using Macs every day since then for 32 years. My Mac enabled me to put the School of Thinking online–the first ever online school. SOT is now 100% online and there have been many firsts since then including the world’s first MOOC. How to Choose Your Teacher. Ask: Is it true? 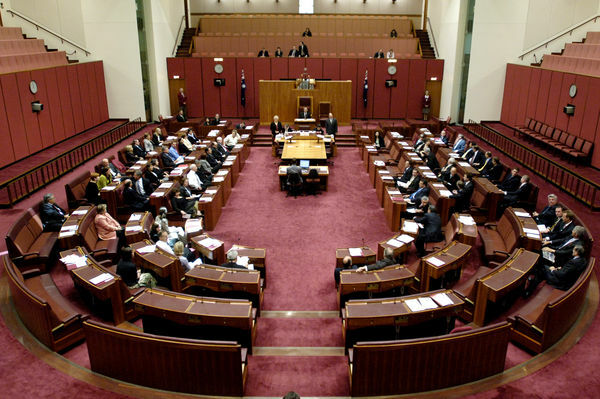 I was recently watching the live broadcast of the Australian Parliament as the various members and ministers, on both sides of the house, rose to speak during Question Time. I soon began to get that familiar feeling of disappointment and bewilderment at the quality of the level of discussion so typical of the Westminster system of debate. So I tried a simple metacognition experiment. As each speaker made their claims and touted their party’s policies in the House (which would also be recorded in Hansard) I simply asked myself: “But, is it true?” “Is what you are now saying a genuine attempt at making a fully true statement?”. And then I gave that statement a ‘truth rating’ out of 10 … 1 being low and 10 being high. An an Elector of Australia I can safely assume this is my right to do so. Rarely could I confidently answer, “Yes, that is true!” If I had to make a subjective guess I would say that more than 80% of their statements and claims were only half truths … at best. 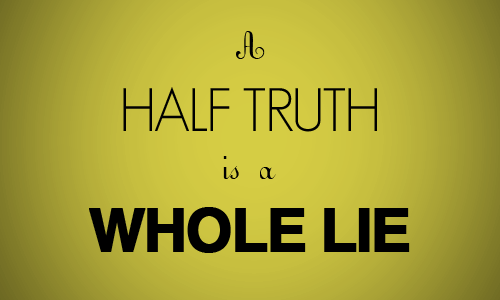 And, as the widely-quoted Yiddish proverb says … A half truth is a whole lie. For the first time in history lies can travel at the speed of light. In our exploding world of cybermedia with social media, photoshop, digital manipulation, phone-hacking and peer2peer messaging at the speed of light, I believe that the global epidemic spread of lies may be one of the most serious challenges facing long-term human survival. I believe this challenge needs to be taken very seriously and could be considered to be of a threat level similar to that of lethal epidemics like Avian or Bird Flu. Many scientists share this view. As an antidote, SOT has put forward a new thinking methodology to help meet this challenge. To follow on from the previous SOT thinking tools, thinking hats and brain software, this new tool is called: greyscale thinking: how to sort a truth from a lie. I was once contacted by a young man in London who is a teacher/coach and personal trainer/consultant. He is in the early stages of his career and he sought my advice. He asked me this question: What makes a great teacher? That is a very good question. It’s exactly the question he should be asking as he embarks on this vocation. Anyone can make a claim. All sorts of claims are made in business, in science, in religion, in families, in governments, in education, in politics, on blogs and in the media. But is it a true claim? How closely does it correspond to reality? Or, is the claim a lie? How do we know? Does it even matter? ACTION STEP: If you feel this is important (please don’t spam lists of people) but send this article on to a selected friend, colleague or family member who may find it useful. MAIN POINT: You will have noticed we are saying “a truth” rather than “The Truth”. Searching for truth is a journey and not a destination. We are more concerned with being right than being righteous. No individual brain can ever contain perfect knowledge of all possible facts. No brain can ever know the contents of the other people’s brains who are also involved in the situation. No brain can ever have perfect ownership of The Truth. And, that’s the point. Any claim that has ever been made in all of history and any claim that ever will be made can be illuminated, examined, investigated and accepted or rejected using the 6 true questions of greyscale thinking: What and Where and When and Why and How and Who – (Click here for more on the questions). Greyscale (or grayscale) thinking is a tool for sorting out truths from lies. Truth is that which, on the balance of evidence, corresponds to reality. There are two serious cognitive problems we need to solve to survive and prosper. Greyscale thinking is a powerful tool anyone can use for solving both these problems. Problem One: How to know if a truth is really a lie (or a half-truth)? Problem Two: How to know if a lie is really a truth? – your speed of thought: the speed with which you can escape from your current view of the situation in order to find a much better view. It takes ten minutes a day, for ten days, to learn greyscale thinking. 10 x 10.